On 8th of July 2017, PITB organized this fantastic event which was basically a capacity building program to create strength in entrepreneurship. 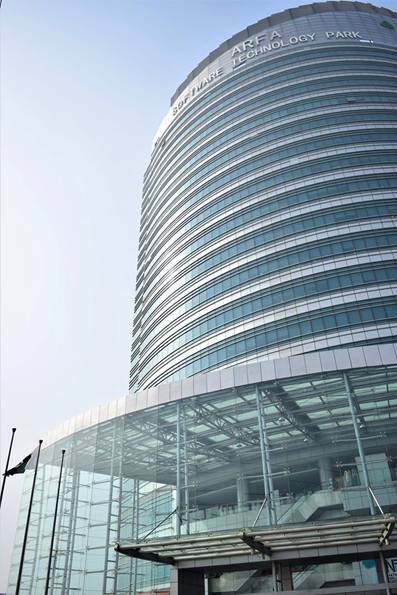 It took place from 9 am to 7 pm in Arfa Software Technology Park. I have been working in the IT industry for a while now and so was interested in attending this event. It had sessions on the role of women in education, policy, media, business, entrepreneurship and leadership. The program encouraged women to run their business and promote them through Facebook. 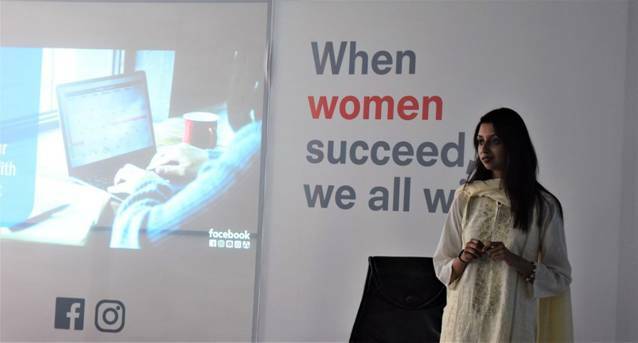 First time in the history of Pakistan, an initiative joined hands with Facebook to promote women empowerment. Herself worked with Facebook’s initiative #shemeansbusiness to support and encourage women who want to become successful entrepreneurs and highlight their success stories on a global platform. After the opening speech by the host Zaineb Tariq, Dr. Shehla Javed was invited on stage who is CEO of Akram Medical Complex and president of Women’s Chamber of Commerce & Industry, Lahore (WCCI). She was of the opinion that women are more committed in business as they do not give up easily. Men do! She said success rate of women entrepreneurs is more than men. She surprised the audience with her mind boggling statistics of 1,26 million women entering entrepreneurship globally. She was a strong supporter of incubators as she said this is Germany’s success story. She talked about women’s habits such as clinginess, taking time to make decisions, unconfident and scared of updating/registering documents. She encouraged all women to be smart, assertive, always keep their documents updated and file taxes. She said government has many schemes of helping out businesswomen provided they have proper documentation. 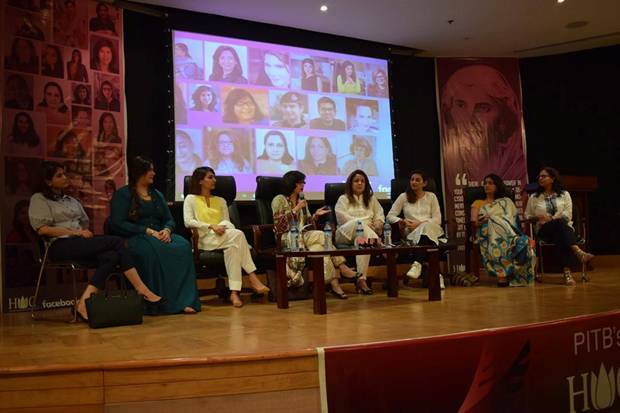 She said a lot of industries in Pakistan are completely relying on women such as Education. She also encouraged women to borrow from government loan schemes to set up their business. She said everyone has an idea which can be turned into an opportunity. 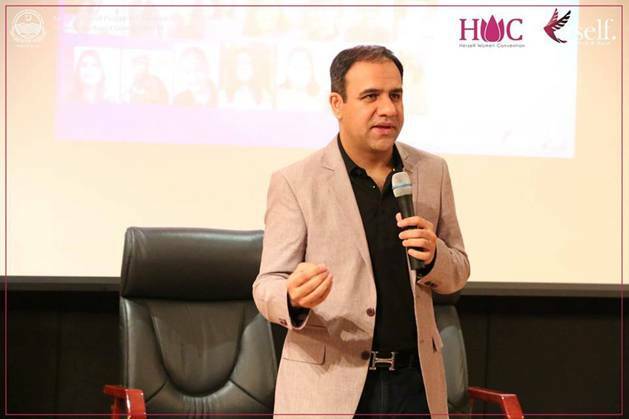 A motivational introductory speech was given by Dr. Umar Saif, Chairman PITB and founder of Plan9. 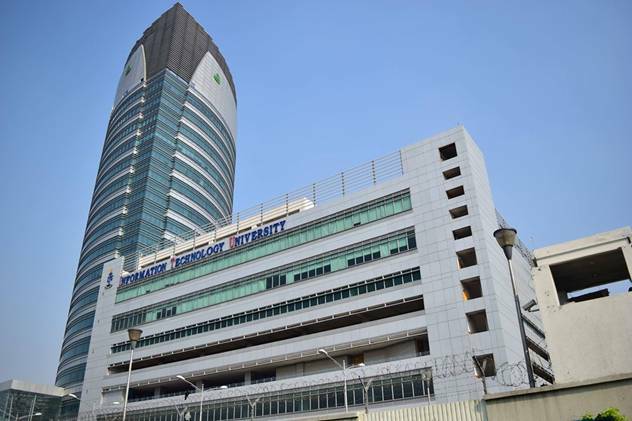 He said when he joined PITB, there were 3 women and now 30% of employees in the organization are females. He said we went out in the market looking for the best. Most turned out to be females. He said 60% of Pakistan’s population consists of females. If we cannot empower women, Pakistan will not progress. We have to step up to the plate and make it happen. He talked about PITBs partnership with Facebook to help women generate a livelihood for themselves. He spoke of Muzammil Arif, a Pakistani who became a millionaire after selling WordPress themes online. He said Pakistan is the 6th largest country in the world and 4th largest English speaking country. We can easily monetize online as it’s really simple. He spoke of e-rozgaar scheme. He said there are a ¼ of a million graduates in Pakistan but only 50000 jobs every year. So freelancing is the only way forward so our youngsters don’t become a burden on the economy. He said that Pakistan is the third largest country in freelancing today. He encouraged women to get their rightful place in the economy of Pakistan. He said 70% of the non-teaching staff in ITU University is female. 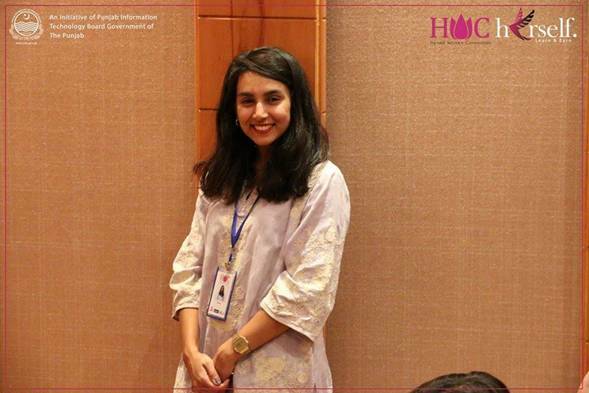 Then Co-manager from PITB Mehak Jamal explained a little about the program and the sessions. 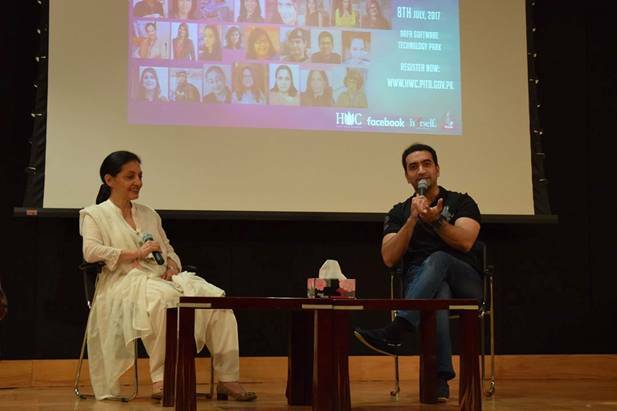 Fire side Conversation between Seema Aziz and NabeelQadeer (Director Entrepreneurship, PITB). 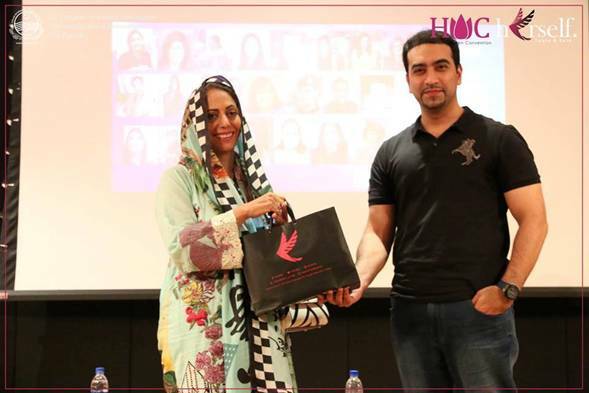 Seema Aziz is the founder of top fashion clothing brands in Pakistan (Bareeze, Keyseria, Rangja& Minnie Minors) and Care foundation which has 900 schools in Pakistan. She is a really inspirational yet humble person. The first question that Nabeel asked her was her thoughts on the word failure. She replied that we as a society don’t accept failure as an option. But in reality failure is a learning opportunity as long as we improve. Our attitude to failure is important. If after failing, we blame others, then we are not learning anything. In Jan 1991, she opened her first Co-Ed English medium school in an area which was 100% illiterate. The kids had runny noses and wore either pajamas or shirts. At that time her son was in Aitcheson and she introduced that syllabus in these schools. She said today 2,75,000 children are enrolled in Care schools across the country. According to her, the talent in this country is unbelievable. It has been running on money raised from the people of Pakistan. Unfortunately the government didn’t contribute at all. But they came to her asking how her schools are so successful as government schools aren’t. She said money doesn’t change the lives of people, it’s the effort that does. Session 1: Role of Facebook in Marketing Small Businesses. We should remember that people love people. Humor is catchy in case subject allows. Use unique items like pomp oms, sprinkles etc. Video content is the most important part of social media today and has better reach. 15-20 seconds’ video size is most popular and should be considered. There must be quality sound of the video. Facebook Live is very important for all businesses. They can create live moments and attract new audience. Boomerang creates fun videos and must be explored for business. Session 2: Grow Your Business with Facebook. Organic growth versus paid growth. Know who reported spam or un-liked your page. Session 3: Online Marketing and Women in Business.